The big race that we have all been counting down towards finally takes place this weekend and on Saturday. 40 horses will go to post for the 2019 Grand National at Aintree. The race looks as competitive as ever, although we do have a favourite who is much shorter in the betting than the favourites we have seen recently. That is Tiger Roll, who is coming here looking to win back to back Grand Nationals. Arriving in peak form he is arguably better than he was last year. He comes in on the back of a demolition in the Cross Country Chase at Cheltenham. And prior to that he won a Grade Two hurdle, he is a serious contender to make history on Saturday. However, from a betting point of view, the price on him is long gone. With a forecast SP of around 4/1, he is certainly worth taking on in a race where you need a lot of luck just to navigate around, never mind to win it. One of the strongest fancies in the race is Anibale Fly. While he didn’t win at the Cheltenham Festival, he certainly put up a very eye-catching performance. He finished second in the Gold Cup, staying on late up the hill as his stamina kicked into play. He was never nearer than when at the finish, and another furlong would have really made things interesting. He comes to Aintree for just his fourth run of the season, which is a different plan to last season when he arrived at Aintree for his sixth run of the campaign. He managed to finish fourth last year but looks a fresher and better horse this time around. While his price has tumbled a little since Cheltenham, he still looks good value against the favourite. Another selection in the race is Ramses De Teillee. He possibly may not quite be ready to win a Grand National this season, as he doesn’t have the same kind of experience that the others do. However, he has quickly developed into a very impressive staying chaser, and one certainly worth taking a risk on. 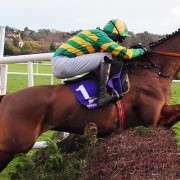 We have seen him go close in the Welsh National and the Grand National trial at Haydock in his last two runs. Both of those races are stamina tests, but over a slightly shorter distance that the Grand National 2019. He should absolutely relish the trip here, and at just seven-year-old, he is also one to keep an eye on in the future in this race. The Grand National takes place on Saturday with Tiger Roll the big favourite to win the race in consecutive years. He'll be the first horse to do so since Red Rum. Two against him and the rest of the field are Anibale Fly and Ramses De Teillee.